1. Crush the cardamom seeds coarsely with a mortar and pestle and keep it aside. 2. Heat the ghee in a sauce pan. Add and fry the chopped nuts. Set aside when the nuts turn golden brown color. 3. In the same pan, add 3 cups of water and boil for a few minutes. Reduce the flame to low. 4. Add the rinsed millet and mix well. 5. Cover with a lid and cook for about 15 to 20 minutes, stirring in between. 6. When it’s done, add the powdered jaggery and grated coconut and allow the jaggery to melt. 7. Add the milk and freshly ground cardamom powder and cook for another 5 minutes. 8. Switch off the flame and garnish with roasted nuts and raisins. 9. Serve as a dessert. Delicious looking payasam. Wonderfully prepared.Craving for it. Surprised to know about millet being used for payasam. when I read 'Biyyam" , I thought rice, and then saw the "millet". Too good to resist. Thanks. Super inviting kheer, absolutely marvellous..
Never heard of Millet Kheer……such a versatile dessert…….Thanks for sharing. very tempting recipe. Never heard of mixing this together, will surely try ! lovely and yummy kheer..looks delicious..nice click too. I'm Feeling good to knw u liked my recipes..hope you will enjoy the stay. yummy kheer. Lot of recipes. Will keep checking. The kheer is very lovely and delicious! Very tasty! 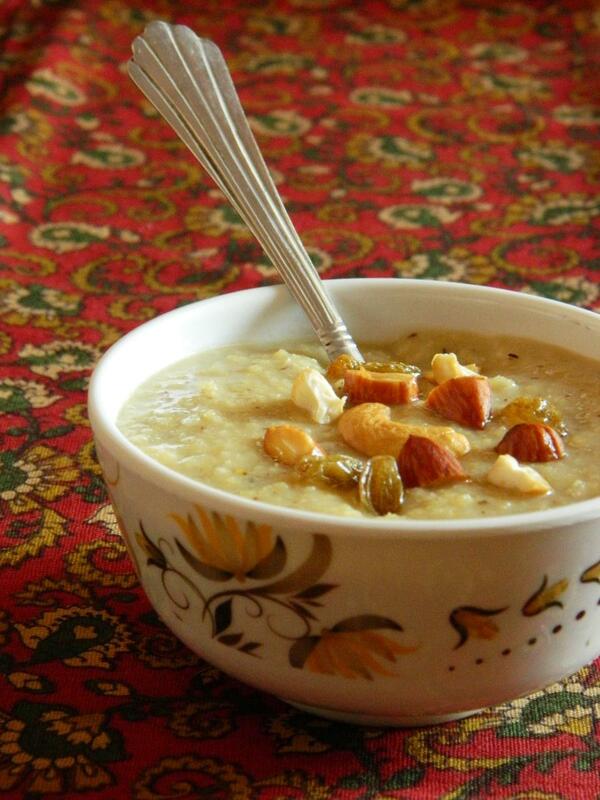 So inviting payasam, looks very yummy.